Called “Gamers Demise: Street Fighter Style”-Real Life V.S. Fighting Games…Which will win?! 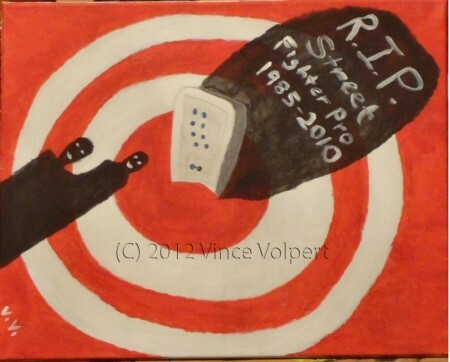 “Gamers Demise: Street Fighter Style” (2010, 16″ x 20″ canvas) using acrylic paint and fine tip pen (black ink).